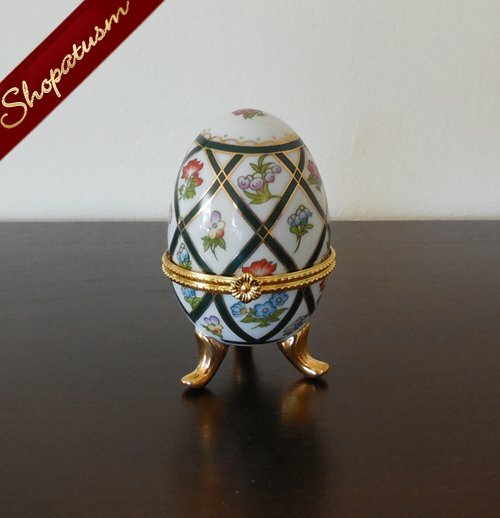 This is for a Porcelain Hand Painted Green Gold Floral Fabulous Egg My Treasure new in box. 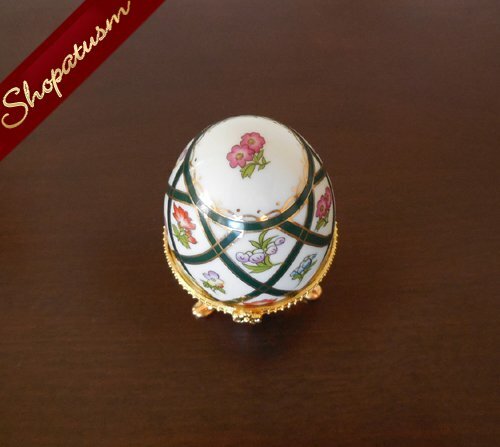 Beautiful and elegant hand painted egg with hinged lid that opens to store your favorite jewelry trinkets in. Stands 3 3/4" Tall 2 1/2" Wide Stands on three legs. 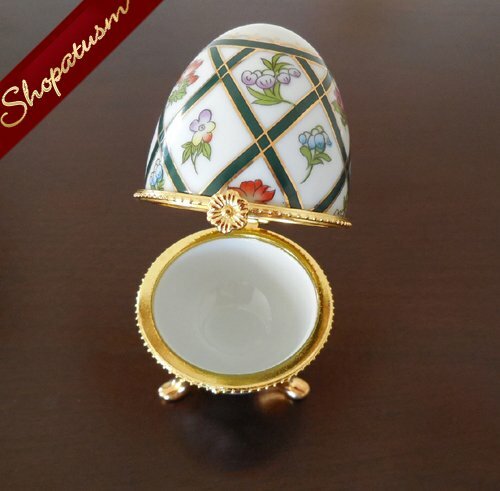 Classic Collectible My Treasure Genuine Porcelain Egg. 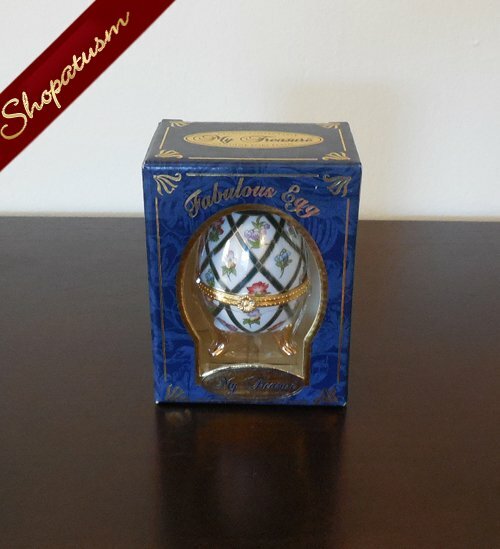 This would make a wonderful gift. 100% of all proceeds from sales of this item will be donated to "END 68 hours of Hunger for children in Wolfeboro, Tuftonboro & Ossipee." Childhood hunger is a nearly invisible problem, but exists in every community in America. In Wolfeboro, Tuftonboro and Ossipee, N.H. we are trying to meet the challenge of feeding 76 hungry children and as food prices soar, we need your help! Please join us, End 68 Hours of Hunger-Wolfeboro, Tuftonboro and Ossipee, in our fight to end hunger in the Governor Wentworth Regional School District by donating funds. Our purpose is to provide weekend food for school children, pre-K through 6th grade. These children eat their free lunch on Friday and have little or no food until their free school breakfast on Monday. Our program provides each child with enough food for the weekend. They receive food for three dinners, two breakfasts, two lunches and snacks. They leave school Friday afternoon with a bag of food for the weekend. For more information, please call 603-515-1707. Here is the direct link if you would like to donate!